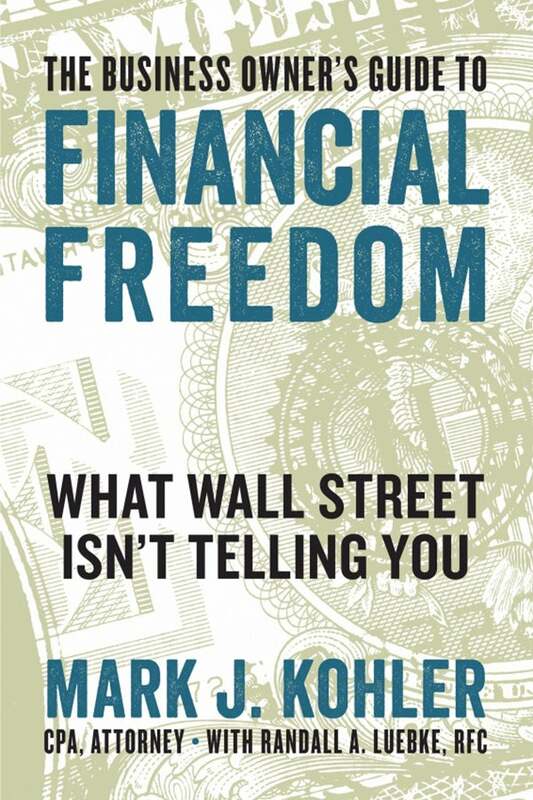 MARK J. KOHLER is the author of The Business Owner's Guide to Financial Freedom (Entrepreneur Press 2017), as well as The Tax and Legal Playbook and What Your CPA Isn’t Telling You from Entrepreneur Press, and a CPA, Attorney, Radio Show host. He is also a partner at the law firm Kyler Kohler Ostermiller & Sorensen, LLP and the accounting firm K&E CPAs, LLP. For more information, visit him at www.markjkohler.com. Debt is all too common for business owners, but these experts can help you see the difference between good and bad debt and teach you how to keep yourself out of it. Establish this system, and you'll have liquidity as well as significant cash reserves. 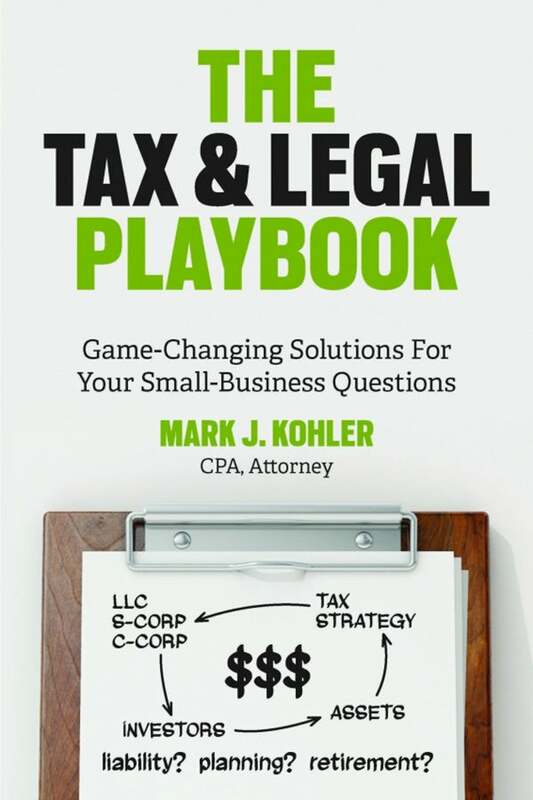 Tackling the fundamental question asked by all taxpayers -- How can I save on taxes?-- attorney and CPA Mark J. Kohler empowers you to dismiss standard CPA viewpoints like your tax payment is what it is and you just make too much money. Simplified through the mastery of storytelling, Kohler invites you to immerse yourself in the compelling tale of a typical family's tax awakening. Through their journey, you'll discover critical, but underutilized tax strategies to achieve huge tax savings, greater wealth, and, ultimately, a winning pursuit of the American Dream. "If you are not happy with your current CPA relationship, and aren't in love with your generic tax planning software, and wonder if there are better options out there. . .you need to read this book!" 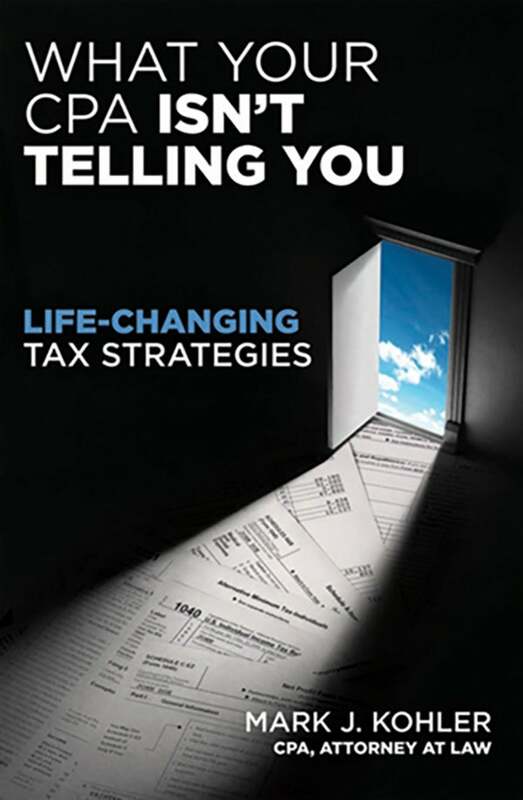 "FINALLY, a tax book that I can not only understand but relate to and actually learn from. I never thought it was possible, however Mark Kohler did it- he made learning about taxes fun.